How can we customize a composition typically made up of standard units? The proposal of our partner Mascagni in Bologna is to focus on a rigorous style with an industrial touch. 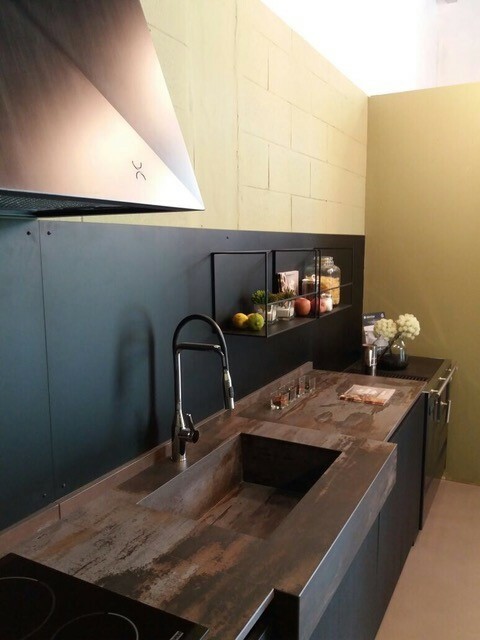 In particular, this kitchen composition catches our attention for the absence of wall units, replaced by a Magnetika wall able to match the capacity and functionality of the kitchen with the needs of the final user. Thanks to Magnetika, it’s possible to add, remove or change shelves and containers anytime, avoiding permanent elements and bulky volumes.